A World of Words: Book/puppet fun! 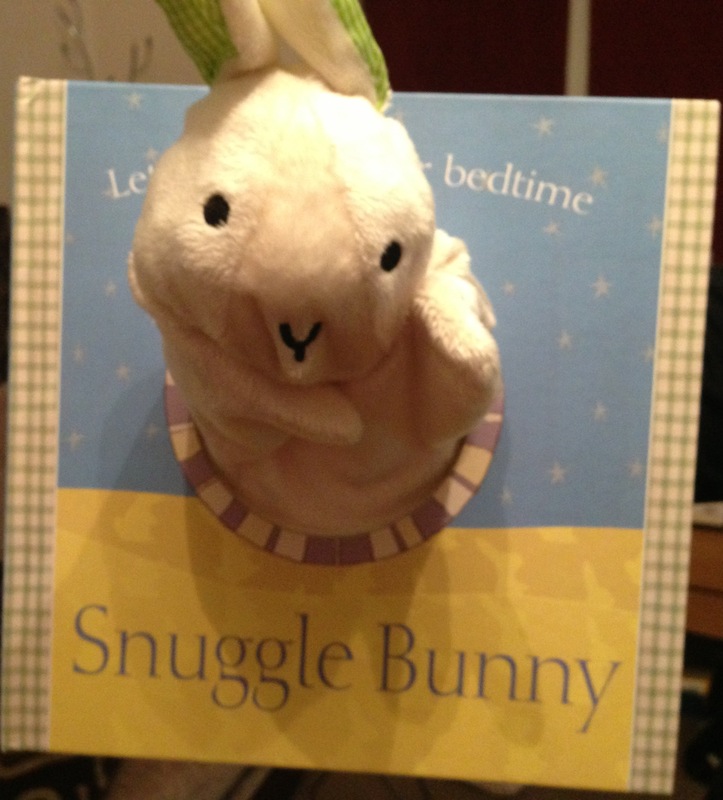 Snuggle Bunny's feeling tired - it must be time for bed. Join in and help him as he gets ready to snuggle up tight. Triple Trouble (Caitlin, Lewis and Harry) visited again today, running to me as soon as I got in the door. C & L immediately ordered me to read them their "favourite" book, although I did just about manage to hold them off while I ate my dinner! While they were waiting, they sat at their little table with this book in the middle, talking to the rabbit and generally entertaining themselves. It was unbelievably cute to watch! When I finally got around to reading it to them, although (especially for Caitlin) the story was probably too simple, they really enjoyed it. Snuggle Bunny was being helped to wash himself, clean his teeth and brush his ears - they loved it! Harry, on the floor crawling around, was also transfixed. Next time I'm babysitting and it's just us two, I'm looking forward to letting him have a good old play too :-). Probably best it's read to him on his own, as to really appreciate it he'll probably need to dribble and chew on it a little bit, haha! This book was a great buy - £7 off the RRP, and even without the story, the illustrations were good enough to hold their attention. Needless to say, they loved the puppet!